Seeing your child smile is one of your favorite things in life — and you want to do everything possible to make sure those little teeth are as healthy as can be. Did you know there’s an extra step we can take to prevent cavities in your child’s back molars? Dental sealants are a quick, painless and highly effective way to protect your little one’s smile from decay and infection. 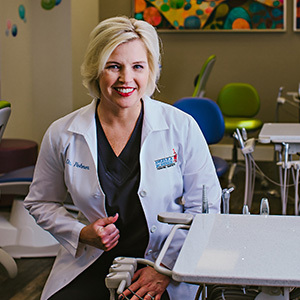 Keep reading to learn more from Dr. Angelica Rohner, your trusted pediatric dentist in Birmingham, today! By the time your child reaches age six, he is entering into some of his most cavity-prone years. A combination of factors make his little teeth especially vulnerable to decay — a love of candy and shaky hygiene habits are two big causes of cavities in little ones. That’s why treatments like dental sealants are so important for children’s oral health. Thin coverings applied directly to the surface of the back teeth, they’re incredibly effective at protecting the enamel from decay-causing bacteria. When you and Dr. Rohner agree that dental sealants are a wonderful option for your child’s vulnerable teeth, we’ll complete the procedure in about five minutes. It’s as simple as this — we paint the clear sealant material onto the chewing surfaces of the back molars. Once every nook and cranny has been covered with the protectant, we dry it with a special UV light. And when the sealant has set, it’s done — and your child’s teeth are protected from decay for years to come. The benefits of dental sealants are many. Quick, painless, affordable — there’s really no way you can go wrong. And if a problem develops later on, dental sealants are easily repaired with a quick touch-up of the material. Once your child has received protection with dental sealants, don’t stop there. Make sure his teeth stay totally protected from decay and infection by helping him to maintain his good oral hygiene habits — like brushing for two minutes, twice a day, flossing daily and visiting the children’s dentist as recommended. 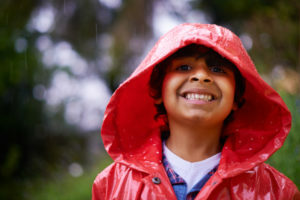 When you help him develop these habits as a child, you’re putting him on the road to a lifetime of strong, healthy teeth — and that’s something you can’t put a pricetag on. Could your child benefit from dental sealants? Of course he could. Contact Dr. Angelica Rohner’s office to schedule his appointment in Birmingham! We’re proud to say we care for each child like they’re our own — come find out what that means for yourself. Call us to book your child’s visit today!